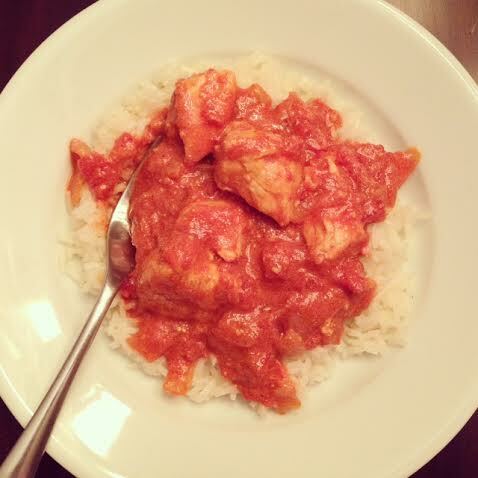 Chicken in a reduced-fat, creamy tomato sauce with aromatic spices. Gareth loves Indian food so I wanted to try my hand at cooking him a meal with some Indian flavors, but still keep it healthy. 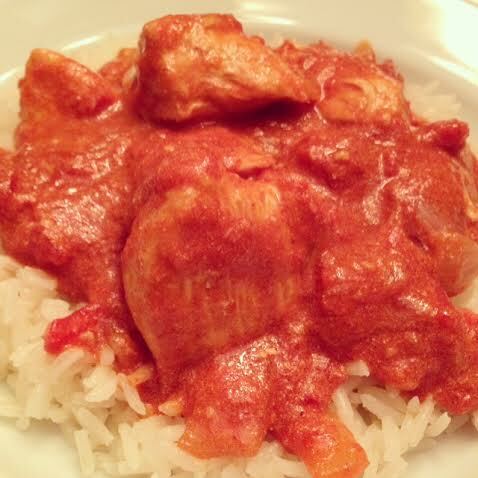 Chicken tikka masala is a chicken dish that’s typically marinated in yogurt and served in a rich and creamy tomato sauce with lots of aromatic spices. To make this a faster weekday meal, I skipped the marination and also cut out the cream to make it healthier. I served it up with some jasmine rice and it turned out really delicious. I had one happy husband! Heat a large pan on medium-high heat and melt the light butter. 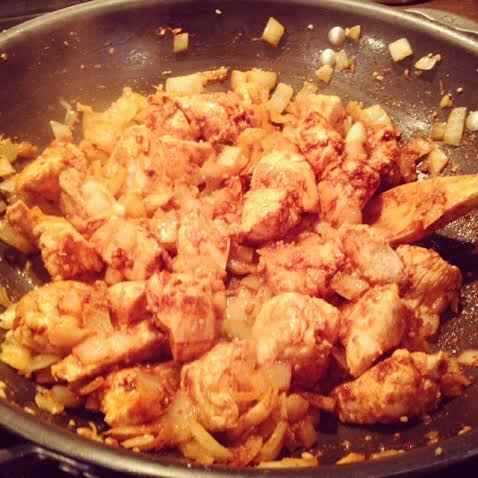 Once melted, add the chopped garlic, chicken and onion and cook for 7-10 minutes, or until chicken begins to cook and onions soften. Add in the curry paste, all dried seasonings, and chopped ginger. 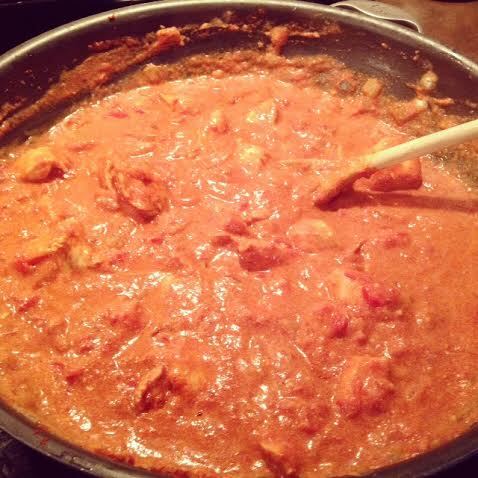 Continue cooking on medium heat for about 5 minutes or so and then stir in the crushed tomatoes and tomato paste. Let the mixture simmer for about 10-15 minutes on low heat. Turn the heat off and mix in the sour cream to create a creamy sauce prior to serving. Serve with your choice of side. ← Pot Sticker Egg Rolls.